Odyssey (Drycell) batteries are military grade batteries and have endured rigorous tests that demonstrate their overall ruggedness and exceptional tolerance of mechanical abuse. The Odyssey battery offers higher cranking amps and additional reserve capacity as compared to the stock battery. Adding water is a thing of the past, and corrosion will cease to exist. A couple of other great attributes are vibration resistance and low internal discharge rate, thus offering physical endurance and superior off-season storage potential. A life span of 5 plus years can be expected if the Odyssey is fully charged and stored in the non-use season. An unbelievable 2 year warranty is standard on this Made in the USA battery..*BatteryStuff understands the importance of getting a replacement battery right away and usually ships all batteries the same day as ordered if recieved before 1:30pm(pacific), however USPS does not guarantee delivery times with priority mail. Odyssey is the best battery you can buy, offering the most cranking power available of any battery its size, a whooping 535 amps for 5 seconds when full charged. The physical case size of the PC535 was designed for military applications and may not be a perfect fit for your application as it is sometimes a bit smaller; but more powerful; than the original battery. In some applications minor cable modifications maybe required. Do you own the PC535? Please, tell us what you think about it. It helps us provide you with better products. Please note that it may take up to 72 hours for your review to appear. Pros: It fits, barely, with some modifications. OMG those CCA come in handy in winter conditions! Shipped fast and well-packed, great communication on order status. Cons: Very tall for THIS application compared to OEM. I modified the front seat bar to eliminate any risk of it shorting across the terminals, but I don't think that was really necessary. Fit was very tight, so I had to remove two fins on each side opposite the terminals to allow wire bundles to pass between battery and frame; that obviously voided any chance of returning it. I drive a GSA sidecar rig so with the extra lighting, camber control, etc have more than the usual demands on my battery. I also ride most of our Vermont winters, so the need to start in temps as low as 5F was a consideration. Having a battery that I can trust to start in those conditions is fantastic! I can also charge my electronics on the bike overnight, or even run a small tent fan in hot weather. Pros: I have been buying Odyssey batteries from Battery Stuff for quite a few years. I bought the Odyssey PC 535 battery to use in a John Deere X304 Lawn Tractor as a starting battery. Odyssey batteries are so far above the junk that is being sold today, that there is almost no comparison. 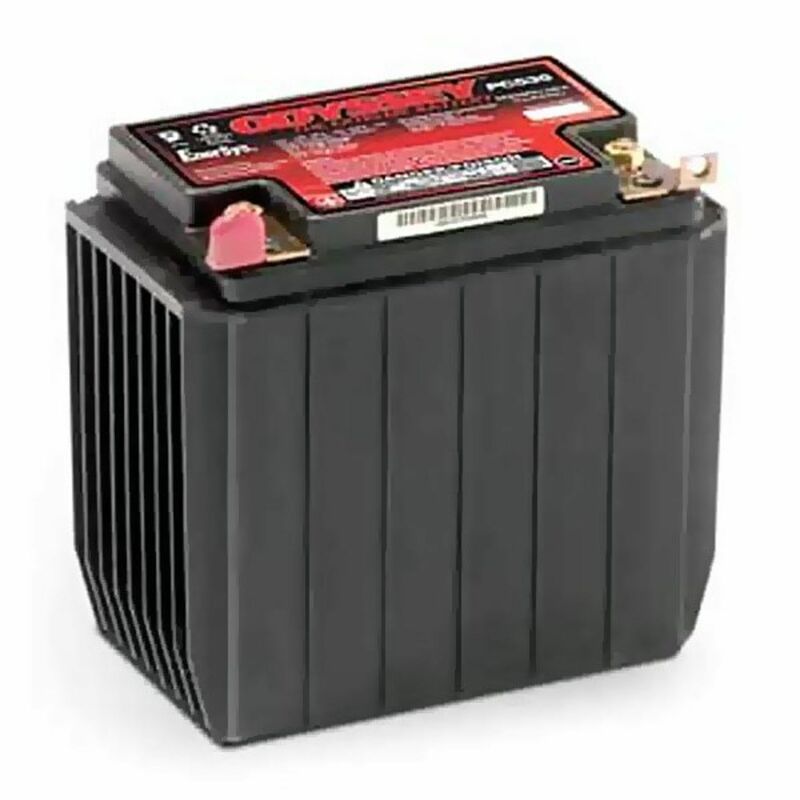 I bought an Odyssey battery for my Polaris ATV 7 years ago, and it is as strong as it was the day I bought it. Battery Stuff is a great supplier. They are very helpful when you are trying to figure out what would be best for your application. They always ship every order I had given, on time.